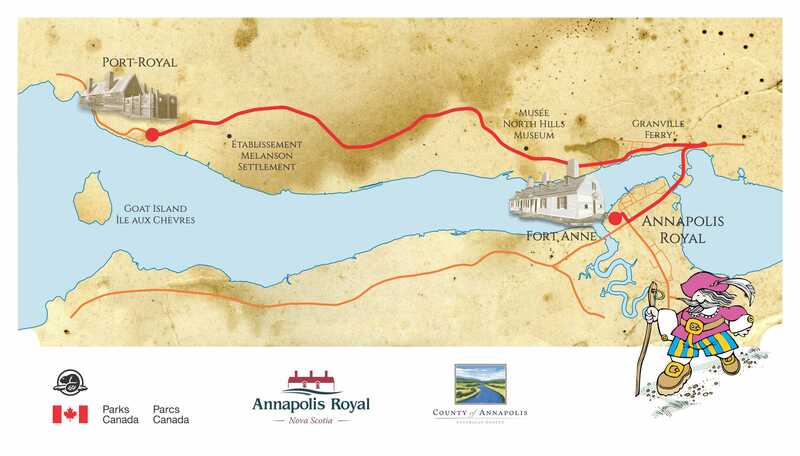 The County of Annapolis, Town of Annapolis Royal and Parks Canada join together to offer this FREE 25 km (round trip) journey from Fort Anne to Port-Royal Habitation and back. You can walk, run or bike; the experience will be unforgettable! A shuttle will be available throughout the day and rest stops will be located along the route. Pick up your swag bag and enjoy an evening of music and family activities. A wonderful way to kick-off this fun-filled weekend. 9:00 am: Your adventure begins at the Fort Anne National Historical Site (323 St. George St., Annapolis Royal). Join us at the starting line and get warmed up with Parks Canada mascot, Parka, as she guides you through your stretches in preparation for your journey. 9:15 am - 12:00 pm. Celebrate the halfway mark with a special, free souvenir photo to be taken along the shores of the Port-Royal Habitation. You have earned a rest! Make sure to relax at the picturesque amphitheatre overlooking our beautiful Annapolis Royal and enjoy music, goodies and a chance to win some great prizes. If the event is presently full please email nbarteaux@annapoliscounty.ca and your name will be placed on a waiting list. A 25km (round trip) journey from Fort Anne to Port-Royal Habitation and back. You can walk, run or bike; the experience will be unforgettable. A shuttle will be available throughout the day. The weekend will host food, prizes, activities, music, a special souvenir photo op and more. You don’t want to miss this! This is a free event but registration is limited to only 250 spots.